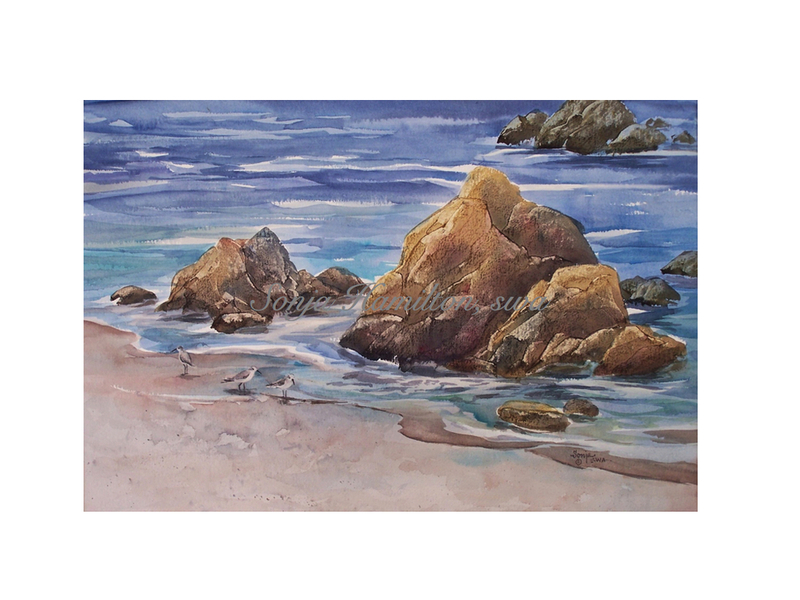 Award winning San Francisco born artist, teacher, art show judge, Sonja Hamilton, S.W.A., is noted for her fluid, concise watercolors, whether landscapes, seascapes or florals. She was graduated from San Jose State University with a BA Degree and holds a Lifetime Special Teaching Credential in Art, has exhibited widely, with paintings in private collections in the USA, Australia, Canada, Japan, China, Mexico, Great Britain and France. Sonja has taught in adult education for more than 40 years, and has had several workshops in Hawaii, California, Arizona, and Nevada. She was an instructor on a tours in Italy & Greece, the Canadian Rockies, France, Spain, Switzerland, and Belgium. In 1999, Sonja was a demonstrating artist and lecturer in China. Sonja is affiliated with Auburn Old Town Gallery, Auburn, CA, Yosemite Art & Education Center, and is listed in “Who's Who of Business & Professional Women, 1999”. She was the recipient of the Grumbacher Gold Medallion Award in 1996, cover artist for Sure West 2008 telephone book and in 2007 & 2008, two of her paintings were selected for corporate holiday cards to be sent around the world. Sonja's reference book, "Watercolor - It's only a piece of paper" was published in 2015. 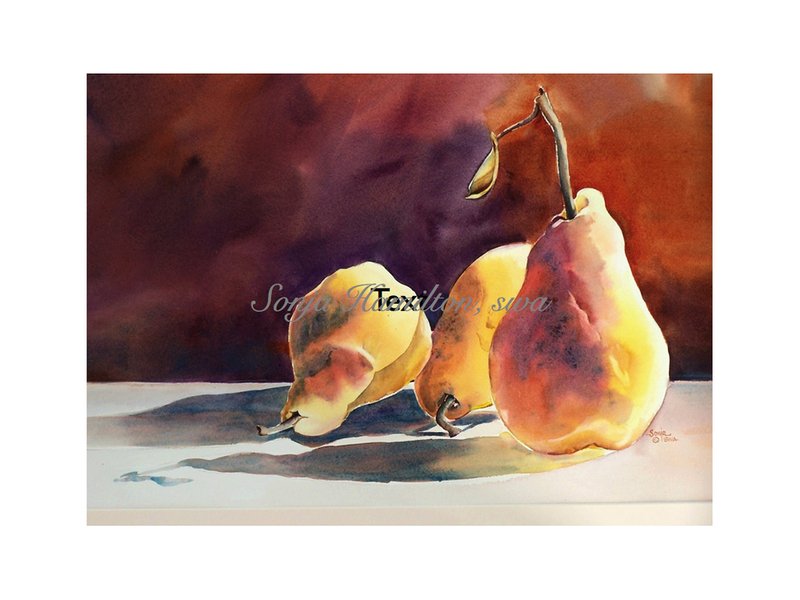 She says of her work, "Although I draw and paint in many mediums, I find watercolor exciting, spontaneous, and challenging. When I paint, my cares leave and I become totally immersed in what I'm doing. Watercolor is a joy - exhilarating, yet most relaxing for me. It is who I am. View my watercolor gallery here.